The Cressi 1 Piece Hand Spear is a super durable pole spear that is a great way to get started in spearfishing without purchasing a gun. This particular one is made from a solid aluminium which makes it long lasting and it can handle larger fish more so than hollow aluminium or fibreglass. It comes with a rubber coating on the front half of the hand spear to give you maximum grip once loaded and the replaceable 4 prong cluster head means that you can change it to a single tip. The 12mm rubber gives you plenty of thrust through the water and allows you to penetrate large fish. 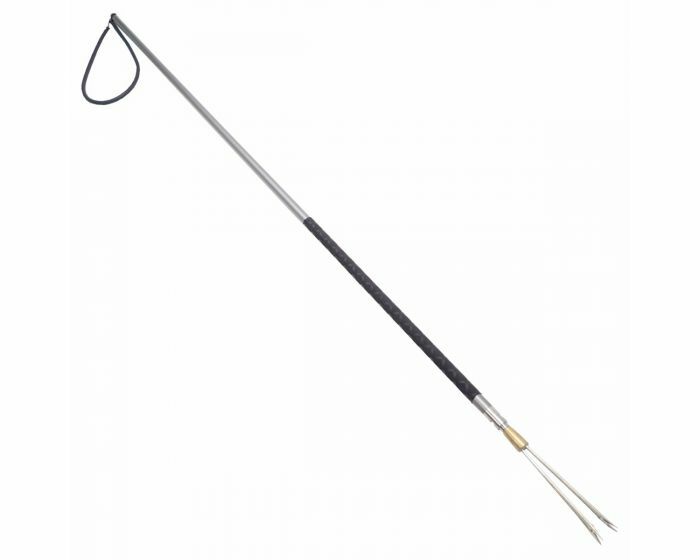 The Cressi 1 piece hand spear is 1.4m in length.